Recently I reviewed a children’s iPad app called Theme Poems. Today I want to tell you about Haiku, another free and excellent educational app from ReadWriteThink, that’s also available in Android. 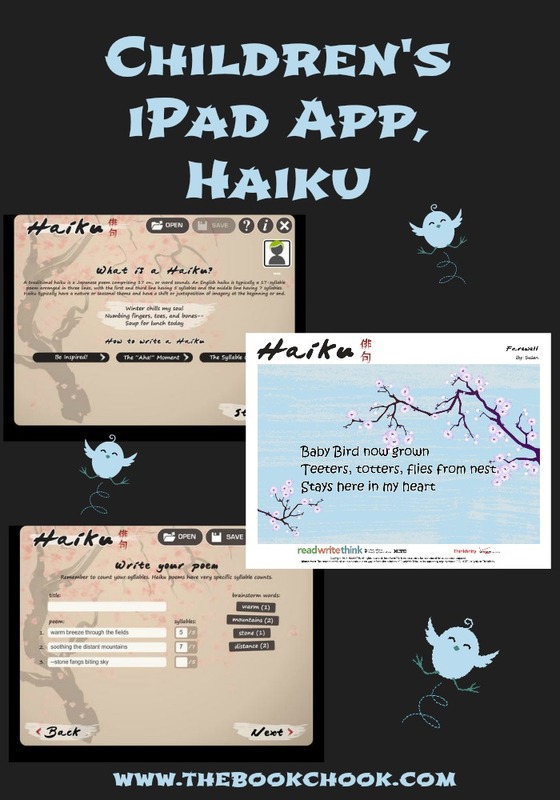 Designed for use in the school environment, this app features a simple profile system so that multiple users can create and store their own haiku poems on the same device without confusion. This app mirrors our web-based student interactive Haiku Poems, so users familiar with one can easily adapt to the other. In fact, the two are so similar that users can send their editable .rwt files to an email address and then open their haiku poem right in the online tool! As with Theme Poems, Haiku concentrates on doing one thing simply and well. It supports and encourages children to create their own haiku. The support means it’s suitable for kids old enough to write, even those hesitant to write poetry. I loved that the result can be saved to the camera roll, emailed and then printed - great idea for a display sometime. Once children open the app and choose an avatar/name, they’re presented with an example of a haiku, before being shown how to write one. Scaffolding uses simple, clear language to explain inspiration, the traditional syllable count and the Aha! moment. Kids then go on to brainstorm words they might use, and count syllables to help them keep track. Once done, they type in the three lines of their haiku, edit if necessary, then finish by having their words added to a nice template or their own image. Users can also save drafts and return later to work on them. The excellent ReadWriteThink website also has lesson plans to support the app, and a similar online interactive that kids can use if they don’t have a tablet. I have also previously reviewed ReadWriteThink's Trading Card and Word Mover. I’ll be adding Haiku to my List of Creative Apps to Use with Kids.